Previous Projects | Eco Barge Clean Seas Inc. The Mackay Coastal Clean-up was an initiative of Eco Barge Clean Seas Inc. and BHP Billiton Mitsubishi Alliance (BMA). It was about bringing people together to improve the condition of the ocean and beaches of the Mackay region. This project ran from October 2012 – May 2015, with a total of 23,860 kilograms of marine debris removed. 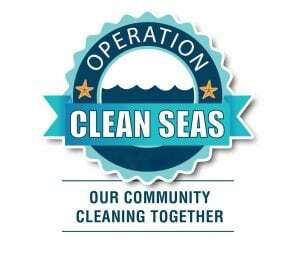 Operation Clean Seas is a month-long initiative that was first launched in April 2013 and then again in October 2015. Its aim was to encourage the whole community ‘cleaning together’ to reduce the impacts of marine debris for our iconic marine life and aquatic environment. During these two month long clean-ups a huge 10,242 kilograms of litter and marine debris was removed. Entanglement in and ingestion of fishing line and plastic bags poses a huge threat to our local marine and bird life. 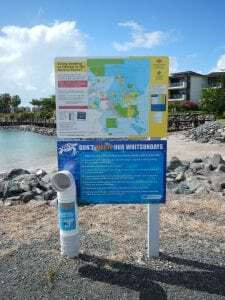 Eco Barge has therefore installed fishing line deposits at our local boat ramps, thanks to the Reef Catchment Public Fund and the Local Marine Advisory Committee, to help educate and provide a safe place for the local fishing community to dispose of unwanted fishing line, bait and ice bags. 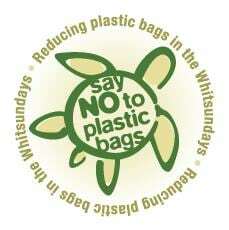 The “Say NO to Plastic Bags” project was a joint venture in collaboration with the Whitsunday Regional Council to reduce the reliance on plastic bags in the Whitsunday region and to promote the use of biodegradable and re-useable alternatives. Local retailers participated in the “Say NO to Plastic Bags” project by making a donation to the Whitsunday Marine Debris Removal Program for every plastic bag that was refused by a customer, with these donations being tax deductible for the store through Eco Barge Clean Seas Inc. A total of nine local businesses came on-board.